Did you know that rayon comes from trees? This is a fun and informative nonfiction book that is great for adults to share with children. The photography is excellent, and the descriptions are both clear and educational -- people of all ages will learn something new. 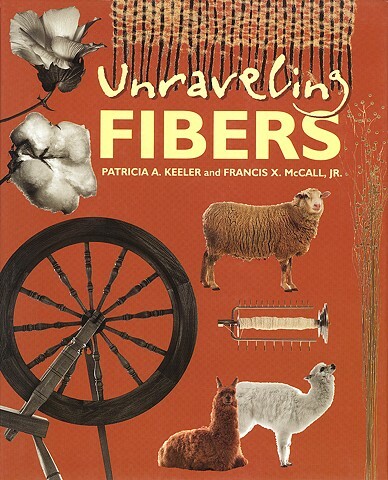 The book depicts, through photographic and textual content, how linen is derived from flax plants, how silk worms make silk, the mechanisms for production of synthetic fibers, and the warm fuzzy products we get from furry Angora rabbits. Llamas, alpacas, and cashmere goats also have roles in this story, which takes you from old-fashioned spinning wheels to high-tech Kevlar production. The two authors blend a teacher's talent for educating with a scientist's focus on chemical and mechanical processes. They bring it all to life with vivid, accessible stories and outstanding photos. This book is a great gift for families with inquisitive children.